Be at Peter Motley Oval this Monday 11 June for the Round 10 Sturt vs South Adelaide game. Reserves 11:25am & League 2:10pm. 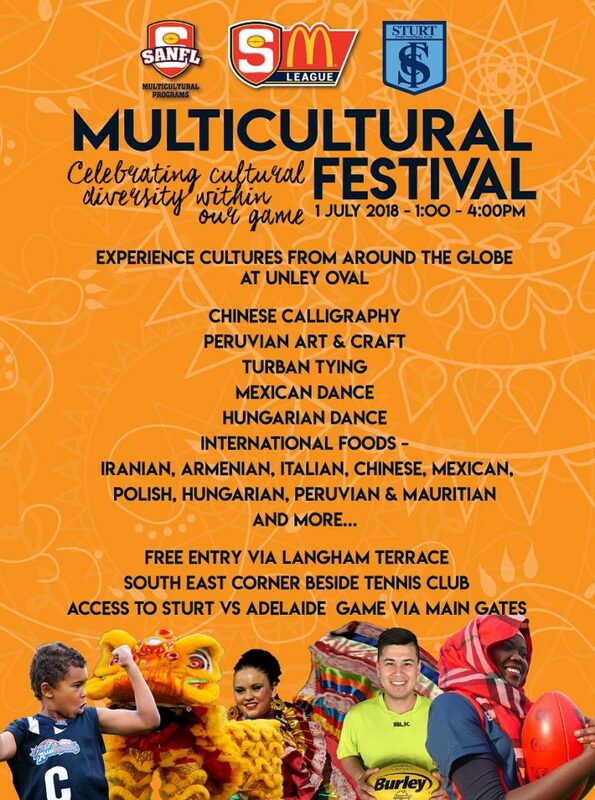 Due to forecasted high winds, the Multicultural Festival planned for the eastern side of the oval has been postponed until 1 July, 2018 when we play Adelaide Football Club. Details to follow. Performances from the Kala’Ris Hungarian Dance Group will still go ahead pre-game.